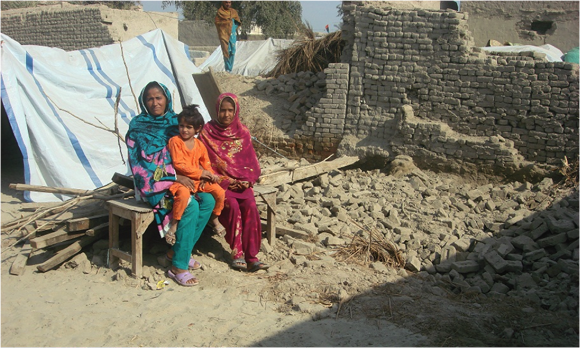 The floodwaters that ravaged the southern parts of Pakistan in the summer of 2010 have long receded. Gone are the makeshift tent camps on roadsides, however the revival of normal life still remains a challenge. Thousands continue a daily struggle to support their families and re-establish livelihoods. As a new monsoon season is in full swing, last year’s trauma and economic pain still linger. While last year’s victims struggle to recover, others now worry that changing world weather patterns will cause renewed flooding. The devastation caused by the 2010 floods was the worst in Pakistan’s history; almost 2,000 deaths, nearly 20 million displaced or affected and one-fifth of the country went under water. The deluge inflicted unprecedented catastrophic damage on a country already reeling from the effects of US-led war on terrorism. A year later, the picture is dismal. Although many flood refugees have returned home, little is known to the world about their miserable conditions and stories of struggle. Particularly the women who are the worst-hit still facing multiple challenges after one year. Their work burden is multiplied. 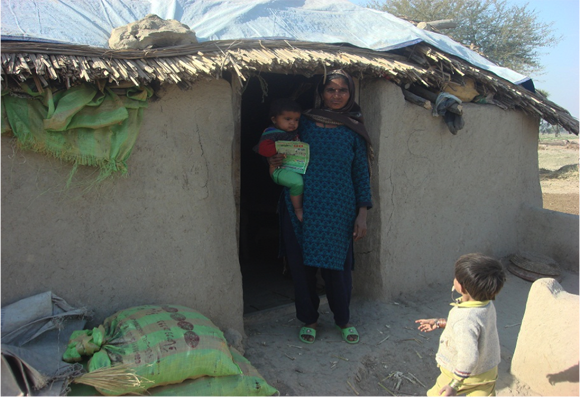 While husbands and male members in poor families, being daily wagers, are struggling to find sources of income, women remain busy in rebuilding their damaged shelters and dwellings. 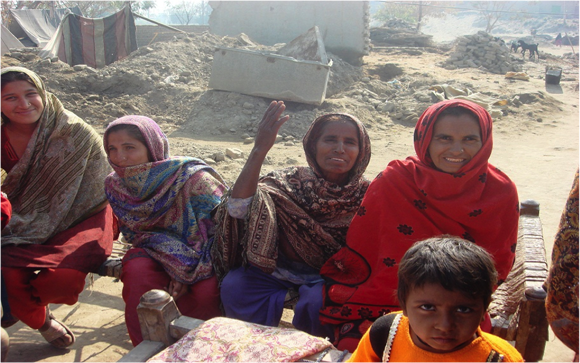 In small villages and hamlets, these women are making bricks and plastering their mud, half-cemented houses. 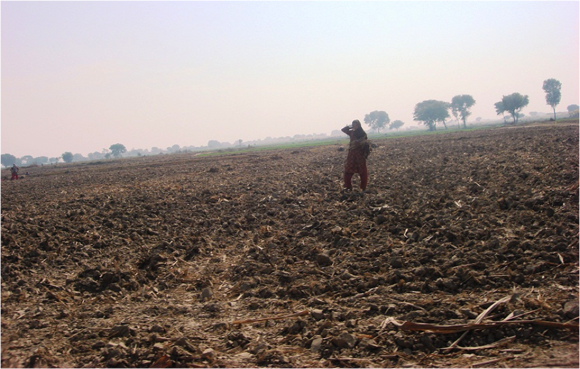 The ones who have finished the reconstruction work are out in the fields, assisting their husbands with tilling. Rest or respite seems a rare thing. Lost possessions have either been replaced at higher costs or they have been forced to do without. Many marriageable girls who lost their dowry and valuables are making a fresh start. A new culture of collective marriages, previously unknown in these areas, is gaining ground. Unfortunately, it is also giving rise to earlier marriages for young girls. Although the custom of girls’ marrying early already exists, post-flood conditions have provided a new impetus to the trend. The only way to effectively tackle the problem is through initiating women-focused anti-poverty programs. Schemes to allocate state land or distribute livestock among poor women would be helpful. The government-provided compensation has been unevenly distributed. Widows and female-headed families faced discrimination with the distribution of Watan cards (relief money) as well as in rehabilitation programs. Despite tall claims, the government has not succeeded in decreasing the level of poverty among women over the year. While donors promised $600 million in aid, little has arrived. As a result, price hikes and decreasing options impact poor families and women more severely. 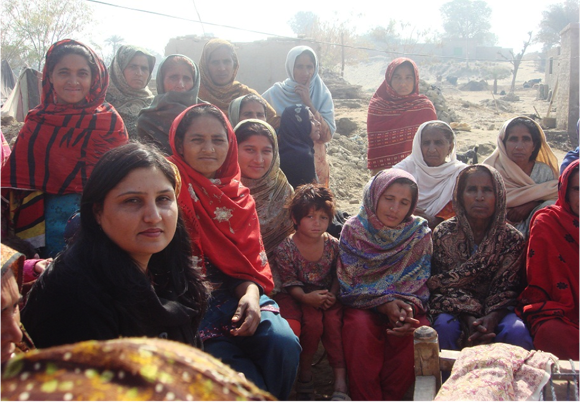 Bushra Khaliq is Executive Director of Women in Struggle for Empowerment (WISE) based in Lahore, Pakistan. Bushra Khaliq’s article is an eye opener for all those government agencies that were donated millions of dollars for the Pakistan flood. What is required is not charity but methods that can generate sustainable rural economy. Interest free small loans exclusively designed to help our women in flood effected regions can prove to be a turning point in terms of rural economic regeneration. Think! Mobilise! Take Action! Bring Change!